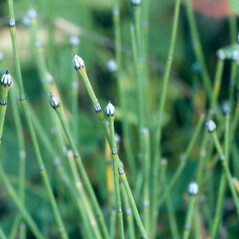 Variegated scouring-rush has sheathes (which are actually reduced leaves) that are black and white, hence the common name. 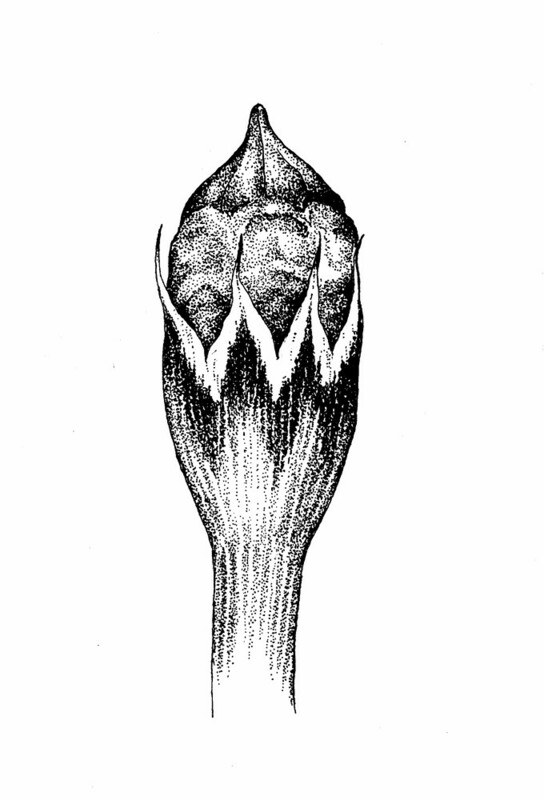 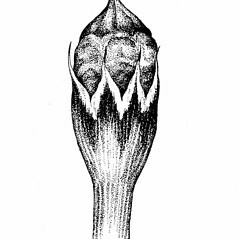 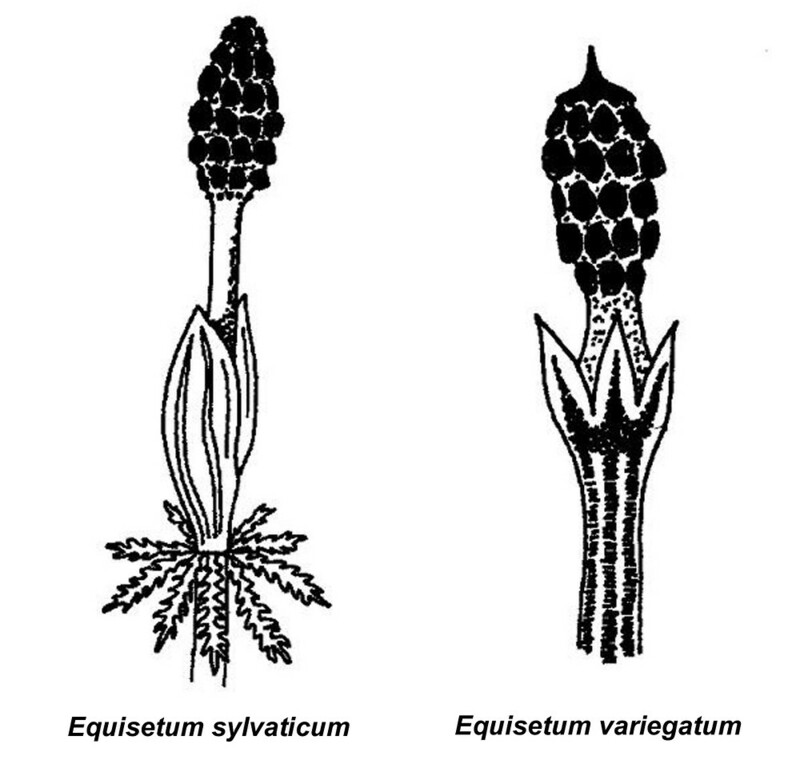 stems with 14-50 ridges and deciduous leaves from all but upper nodes (vs. E. variegatum, with stems with 3-12 ridges and persistent leaves). 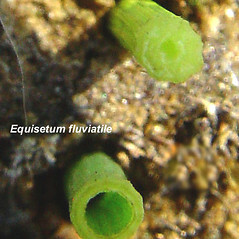 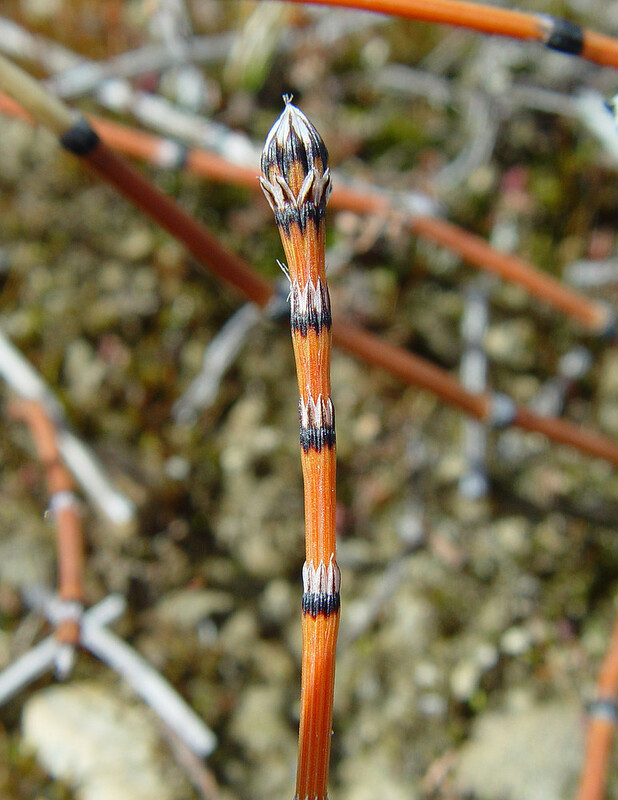 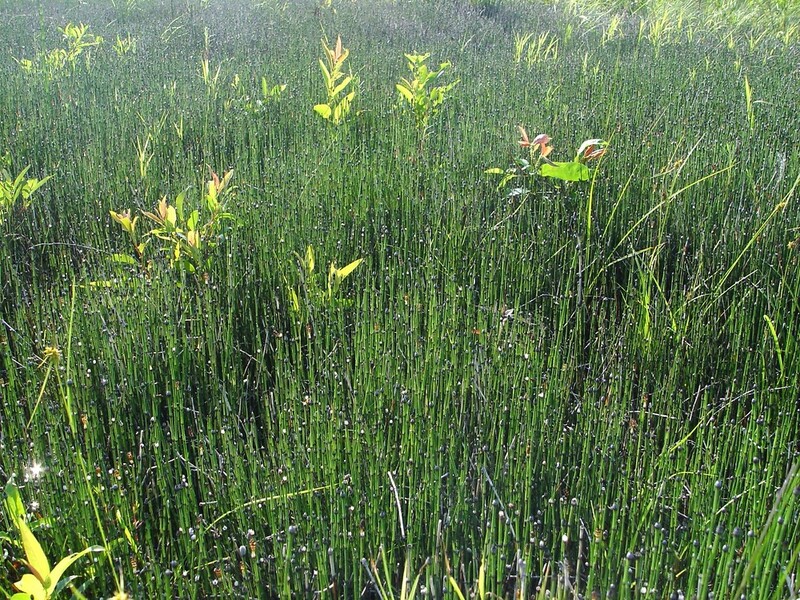 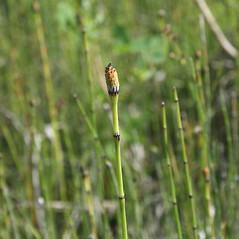 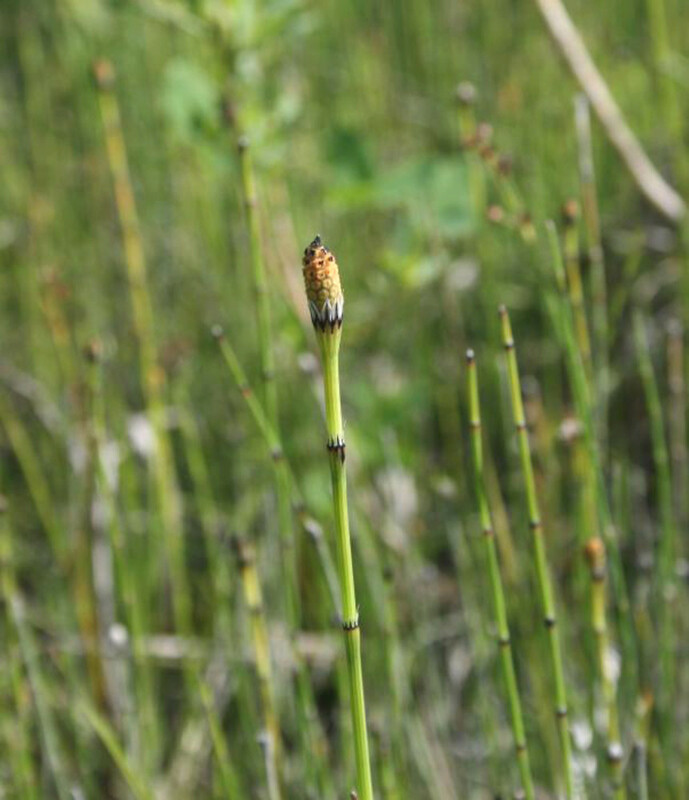 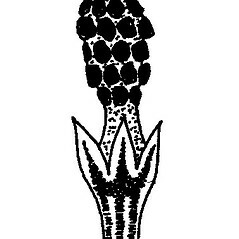 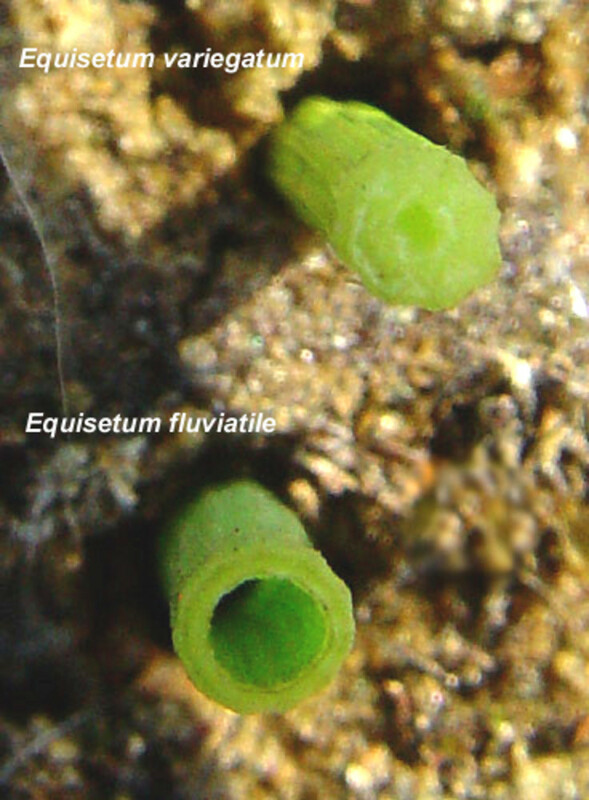 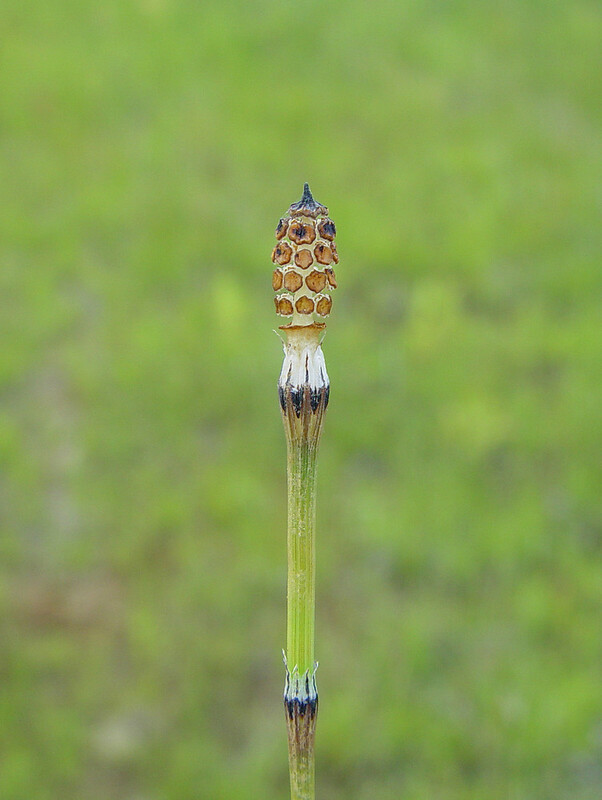 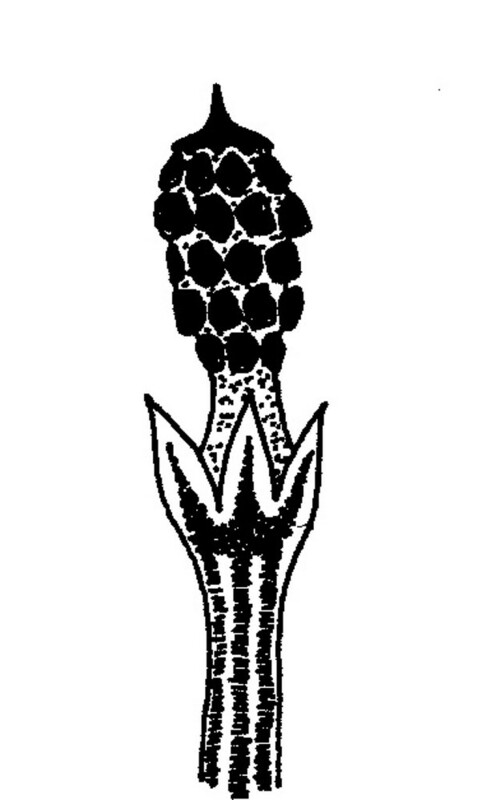 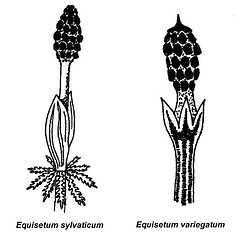 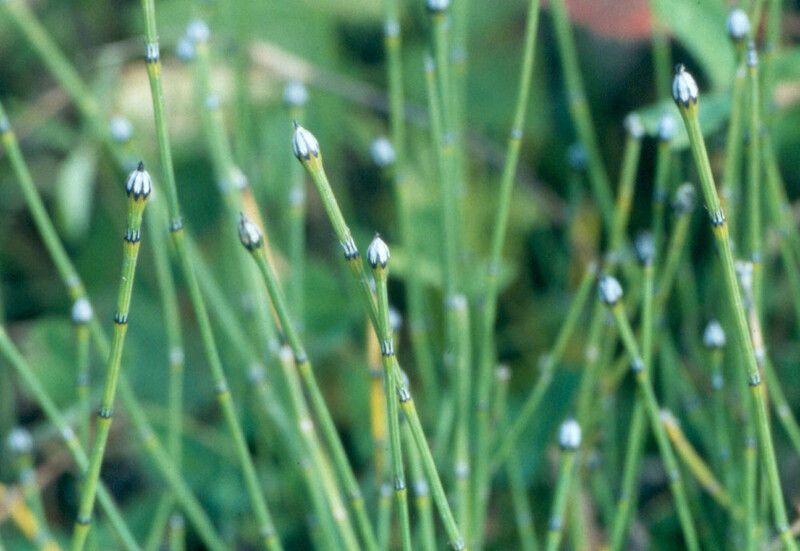 Our subspecies is Equisetum variegatum Schleicher ex F. Weber & D. Mohr ssp. 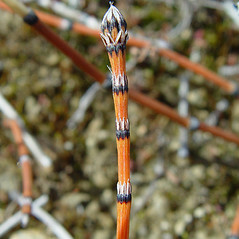 variegatum. 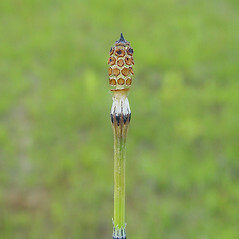 variegated scouring-rush. 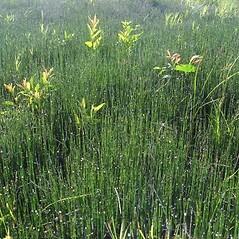 Hippochaete variegata (Schleicher ex F. Weber & D. Mohr) Bruhin • CT, MA, ME, NH, VT; scattered in southern New England.